Who actually organizes this and are they willing to have any presence on this forum? If not what are the modes of contact? Not 100% sold on it yet, figure we give it another week-ish then set whatever it is in stone. I don't want to spend money though! 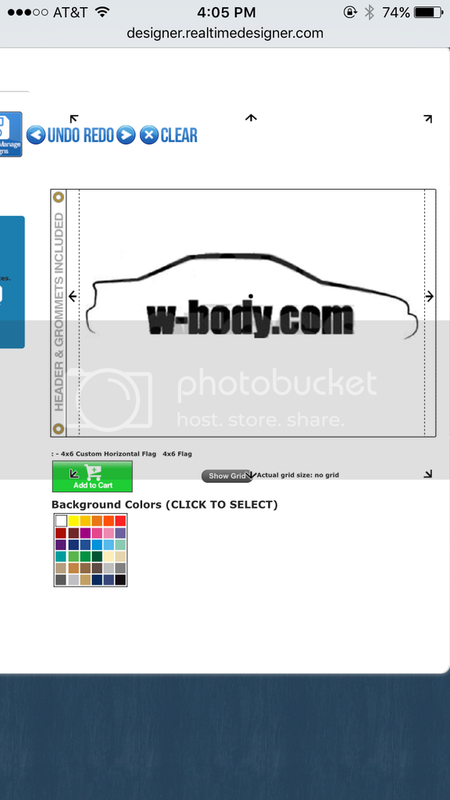 Something with the decal logo (car outline w/ "w-body.com") would be cool. Simple and effective. A flag would look cool. I still have a flag from a couple years ago. The main contact is Darryl hanscom, I have him on Facebook, I think Rich has alternative contact for him. I think he was at one point on the forum years ago, but that was before the other meet started up. He's a pretty big 2g guy, came to the kensington meet I set up a while ago. good guy. I could get a banner made up, and new stickers. Maybe it's a detail, but where is this meet held? So with little opposition, I'd say the decision is made then? I'd hate to break tradition, so we'll probably show up in a 60* DOHC Forzda. I thought you were going to be probing the non GM 60 Degree V6 crowd at the 3800 meet. I somehow missed this thus far. I know I am pretty new here and my appearances can be scarce, but I have been to a couple of the w-body.com meets and those meets. Just keep in mind that it is a very different atmosphere. We are usually at a park with some grilling and then junkyard and hotel all the way. These guys are much more into car-show kinds of events. Also, the event is huge, way bigger than ours. Ultimately, I don't think it would be a bad idea to try, but I just figured I should give a heads up for the ones who have not been. With that said, I will, bar any sudden trips that come up, attend this.